The first version of miczanin.it website was published in 2004. It was just a single html page with a list of links to various distinct subsections (curriculum vitae, family tree, photogallery, etc.). 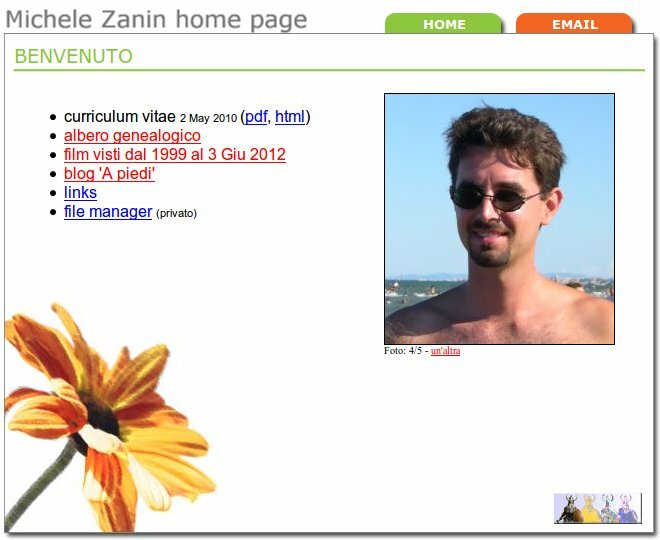 Main page of miczanin.it just before renovation. Now it is time to renovate it. I am using mainly WordPress technology, with two distinct installations, one for the Italian version, one for the English. Static pages will be approximately the same, while blog sections will be completely independent. This one (in English) will deal mainly with work related topics. This entry was posted in Post by miczanin. Bookmark the permalink.